atmospheric game with soft grey shades and lovely ambient tunes. 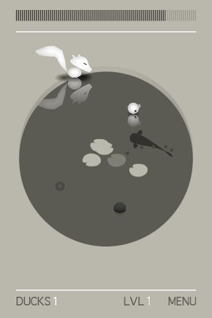 use the tilt sensor to lead your ducks to safety whilst avoiding the hungry white fox. relaxing as watching a bonsai tree growing.